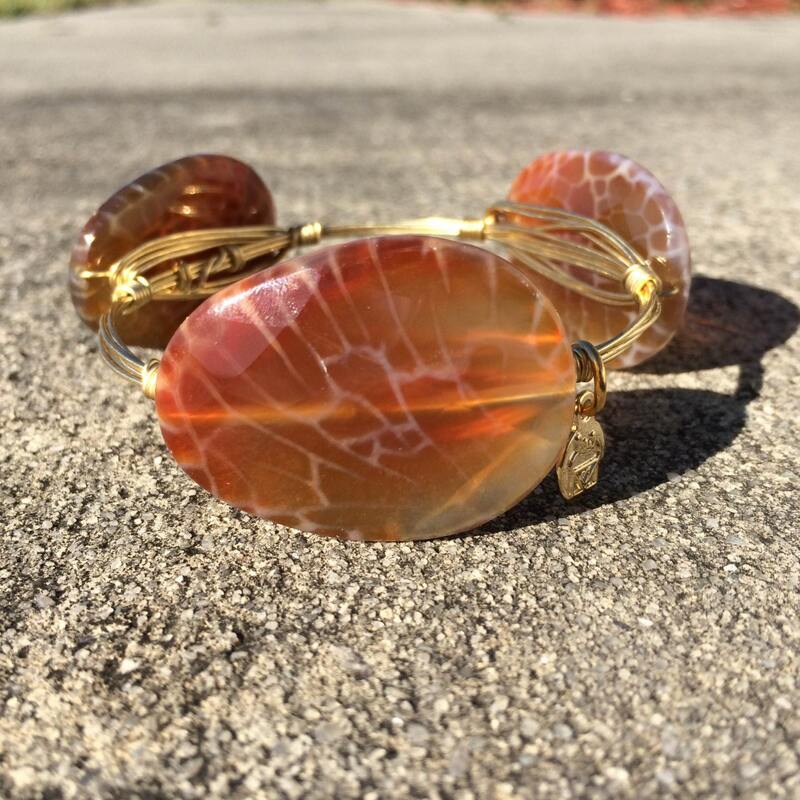 Unique and stunning fire agate wrapped on to your choice of silver or gold wire. The perfect fall addition to your arm party! Each bead is approximately 40mm. Perfect! These are absolutely adorable and great quality!